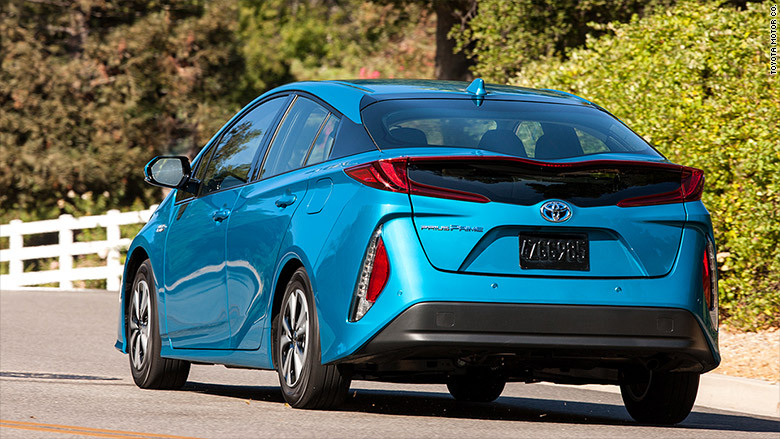 The words "best Toyota Prius ever" might not sound that exciting when gas prices are so low. I might as well sell you about the best winter parka ever in the middle of July, right? 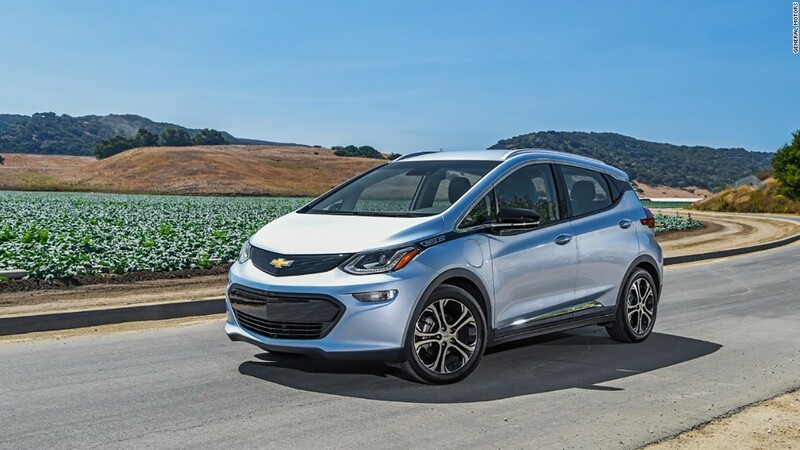 Plug-in hybrids offer the coolness of hi-tech driving with the security of being able to rely on easily accessible fossil fuels when you need to. And, thanks to more powerful packs, they offer more exciting performance than plug-free hybrids. And Toyota designers made this car look different -- and better -- than your standard Prius. Up front, the Prius Prime gets cool LED headlights that make it look, actually, kind of aggressive. Aggressive is not a word usually used to describe Priuses, by the way. In back, designers added a bigger wing with an integrated taillight along its edge. Together with the lights at the outer corners it creates track of red light at the back of the car. The back window is also made from interesting curved glass with a sunken channel running down the middle. It's an interesting look, but with the downside that the Prius Prime doesn't have a rear wiper like other hatchbacks. The dip in the center makes that window un-wipable. 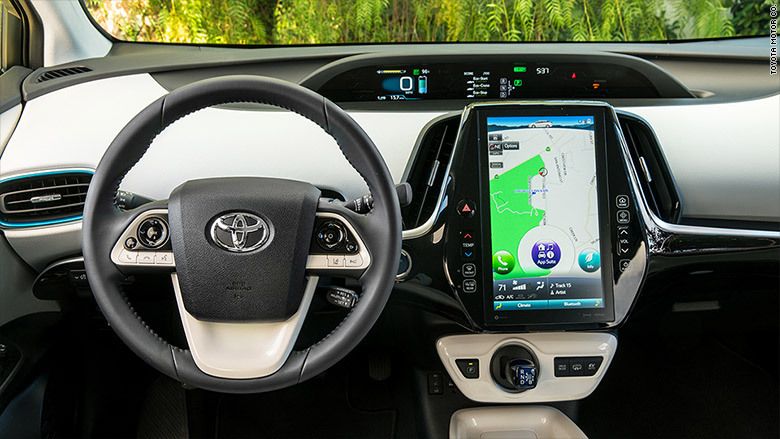 Inside, the Prius Prime has the nicest interior I've seen in a Toyota (TM). That, in itself, isn't saying a whole lot since, in my experience, Toyota designers have never seemed to sweat interiors that much. But you can tell that talented people expended real thought on the inside of this car. The top-level model I tested had a lovely white-and-black interior with a huge touch-sensitive central screen. And that screen, in addition to looking good, worked nicely. It was responsive and easy to figure out. Then there's the way the Prius Prime drives. Now, I realize that talking about the way any Prius drives is a bit like like talking about the taste of a vitamin supplement. It's just not a selling point. But the new Prius, even the non-plug-in version, actually drives pretty well. It's not amazing. It's not quite really fun. But it's close. Steering feedback is surprisingly good. 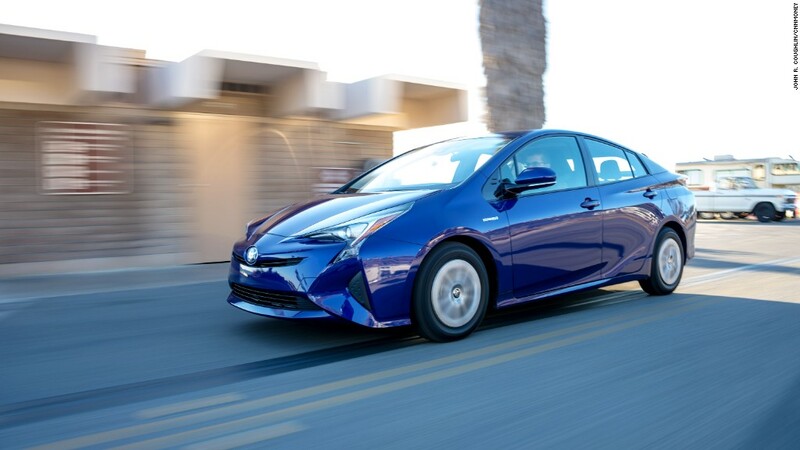 The Prius Prime wobbles a bit in turns, but not unpleasantly so. The brakes work well and smoothly. I actually felt completely in control and that is, after all, what one wants to feel in any car. It's not exactly fast but, in "Power" mode the Prius Prime feels responsive, even a little punchy. 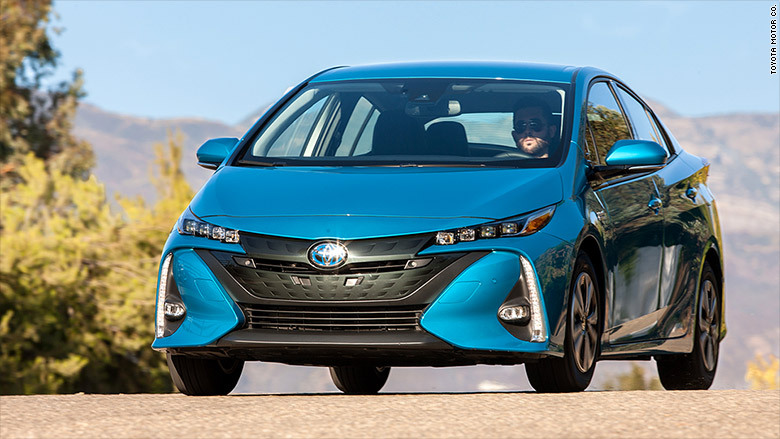 Thanks to a $4,500 plug-in car tax credit -- as long as it's still around -- the Prius Prime, at a starting price of $27,000, doesn't even have to cost more than a regular no-plug Prius. Given all you get, I'd say it's well worth the price even if you never plug it in at all.